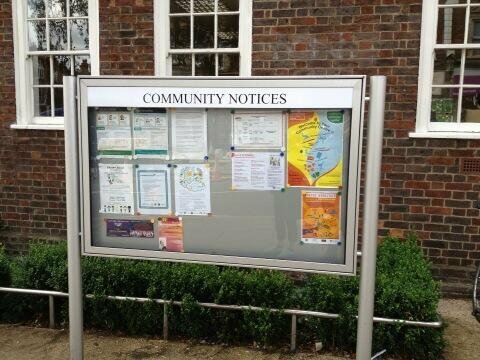 West Hampstead Life | Physical evidence of a broken community? 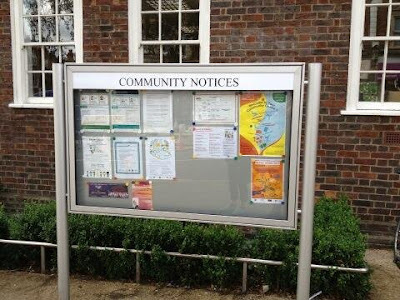 Physical evidence of a broken community? It would seem like a blatant act of vandalism. 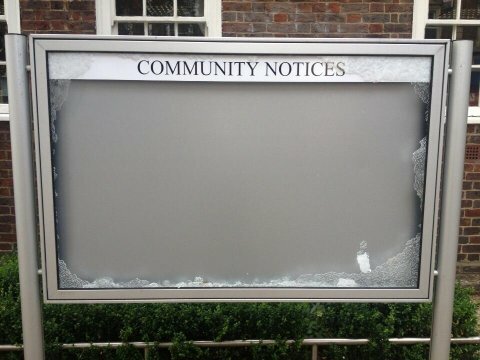 Smashing the glass on the newish community centre notice board is just mindless. 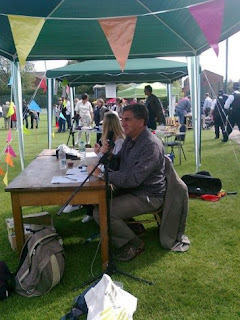 Smashing the glass, ok… taking the various flyers? How keen are these people on attending the next WI meeting or going to fathers and toddlers groups? Yes, yes, I know… it’s more likely that library staff simply removed the posters for safekeeping while the glass was replaced. All present and correct. Lets hope the vandalism was a one-off. 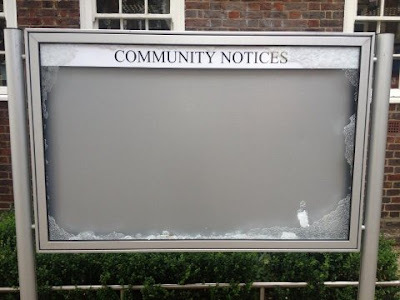 Nothing says “broken community” than literally breaking the community notice board. Summer swimming for free Could Solent Road generate more parking fines?